Let me start by saying this was one of the best and most effective climate communication talks that I have ever seen. It was so good that I felt compelled to write this blog to share some of it with you. 1. Starting with the physics and science basis for why increasing amounts of carbon dioxide will lead to warming. 2. Showing chart after chart with trend lines and global maps with orange and blue (indicating temperature). 3. Focusing on impacts to polar bears, permafrost in Russia, or some glacier in Greenland. While all of these are important, they represent the fundamental disconnect in how we communicate this material. Steve deals with foresters and land managers, and he noted that 90% of them are skeptical of human-contributions to climate change (Yes, I am still saying wow also). Similar numbers are likely present in farming and even some other surprising areas. One of his many “spot on” points was that a farmer or forester doesn’t see the global impacts, they see what is happening on their farm or land area. While not inconsistent with the global picture, a more narrow viewpoint will often inform a different reality. There are no polar bears, permafrost beds, or glaciers in Georgia or North Carolina so that narrative is dead upon arrival to some. Steve proceeded to establish an argument that a different approach is needed. Even if the vast majority of climate scientists know that anthropogenic contributions to climate change are real, spouting 97% or other percentages doesn’t work for everyone. Further, many of the stakeholders that he deals with are very skeptical of the “Government” or “government scientists.” This is unfortunate but a current reality in many parts of the societal dialogue. Steve introduced the ELFLAND approach for reaching skeptical groups. Elves are happy and non-controversial, right? Maybe the light-heartedness of the acronym can diffuse the vitriol and mean-spirited starting position some come to the table with. By the way, I still don’t get why people can’t disagree without being mean, but I digress…. E – Establish Contact. Reach out to the group with communication and interaction. This leads to relationship-building. 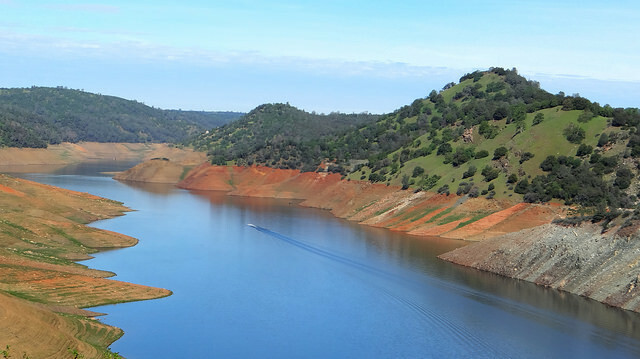 Photo of Don Pedro Lake, taken March 2015, showing effects of California’s widespread drought. Credit: Rene Rivers, CC BY-NC-ND 2.0. L – Listen. Even as scientists, it is important to listen. For example, for much of the last few decades, the southeast United States was cooling relative to the rest of the globe (Note: this has mostly reversed). Steve’s point was that if you are talking to a group of Alabama farmers about warming the past 30 years, this may not resonate with them and in fact, could breed skepticism and distrust because they saw something different on their farm. However, these same farmers clearly understand drought, hurricane-induced flooding, or heat waves. They also understand variability. Their story of cooling temperatures or variability on their farm does not refute the “bigger picture” narrative, but it represents their experience. This is why Steve (and I agree) notes that climate change is a much better term than global warming. Global warming is one symptom of change in the same way that fever is one symptom of flu. Even as the southeast was cooling in the latter part of last century, it also had, by a wide margin, the majority of “1-billion dollar weather disasters”. These were manifested as droughts, hurricanes, and floods. All of which are a part of the climate system and things that farmers would be aware of. F -Find Common Ground. As a scientist, I may understand the nuances of climate change (both natural and anthropogenic contributors), however pre-conceived notions, ideology, or experience may cause a person to see the problem through a different lens. To communicate effectively, find common ground. Most foresters or farmers would likely agree that weather/climate varies, variations affect their business, and they would love to have some understanding so that their land/farm can be managed to maximum effectiveness now and into the future. If you can establish these 3 commonalities, there may be hope for a deeper dialogue. L- Lessen Mistrust. Katherine Hayhoe often talks about this too. And, I also try to approach things from this perspective (with reasonable people, not mean-spirited ones). Find a common value and build trust. By conveying to a skeptical stakeholder that there is a common value system or goal, progress can be made. Humanizing and personalizing the issue is key. It will go a long way to show that person that you care about his/her productivity not some big bad ulterior motive or give Al Gore props :). By the way, I have still never cited a paper by Al Gore, but I digress once again. A – Assess Needs. Once trust is established, you can work with the party of interest in a productive manner, in theory at least. N – Nurture Products. Since Steve works in a forestry environment, he talked about the co-development of products. This can apply in forestry, broadcast meteorology, or other areas where gaps in climate perspective exist. D – Deliver. Deliver the goods. There were many wise lessons in this talk. While ideological walls, economic interests and basic lack of climate/science literacy are realities of the climate discourse, most surveys suggest that common ground can be found if the topic is communicated properly. I have long held this philosophy. A climate talk that I give to the Rotary Club is very different than one I give at the AMS meeting or to Congress. Disclaimer: These are my interpretations of Steve’s talk today. I may have gotten some of the details incorrectly. I have also added my perspective. However, I hope you found this useful. 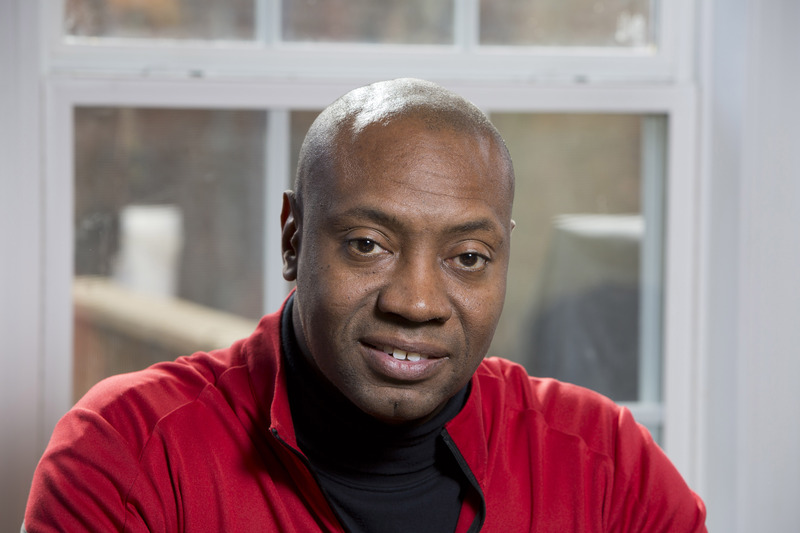 Dr. J. Marshall Shepherd, a leading international expert in weather and climate, was the 2013 President of the American Meteorological Society (AMS) and is Director of the University of Georgia’s (UGA) Atmospheric Sciences Program. Dr. Shepherd is the Georgia Athletic Association Distinguished Professor of Geography and Atmospheric Sciences and hosts The Weather Channel’s Sunday talk show, Weather Geeks. Editor’s Note: This post originally appeared on Dr. Shepherd’s blog, “From the Mind of J. Marsh WxGeeks Edition” on Weather Underground. The watershed council conceptual practice on the west coast of the US depends upon all of these points to gain understanding and support for environmental restoration. I have been amazed at the collaborative work that can be accomplished with an inclusive roundtable setting of diverse interest groups. The process works rapidly at producing a lot of good results, however there is still a marginalization effect of pointedly investigative needs that get avoided in the environmental assessment done, due to some participant not wanting to look into some issues that might affect their bottom lines (e.g. water quality sampling and contaminant assessment). Slowly and carefully, the fears can usually be somewhat overcome if maintaining trust is emphasized, and fingerpointing is avoided. Everybody working together to minimize adverse outcomes on individual participant entities can then increase cohesiveness within the process. Still there are times where some urgency calls for controversial assessments, and these often get slighted or totally put off for fear of the controversy. The ‘carrot and stick’ of regulatory influence is still essential at times to provide momentum toward solutions that are more controversial. And, sometime this just cannot overcome the need. Far more work gets accomplished than would otherwise have gotten done without the roundtable system working for watershed council missions and goals of environmental and societal gain.